Our health choice for those who need Gluten Free Products. 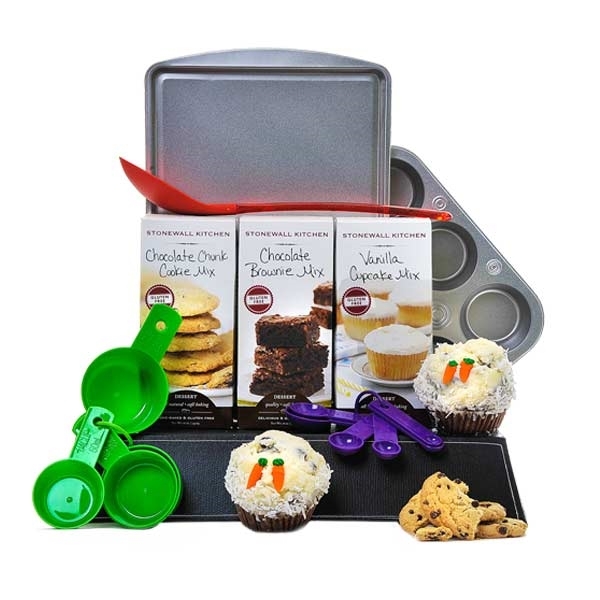 This basket comes with three Stonewall kitchen mixes, chocolate chip cookie mix, brownie mix, and vanilla cupcake mix. Also included is the baking sheet, cupcake and muffin pan, colorful measuring cups and measuring utensils.